One of the most brazen picks of all time. One of the most hirsute guests of all time. The Good Vibes Gang welcomes The Big Cranberry to the Fortress of Solid-dudes to draft the ultimate Sampler Platter. OH GREAT. 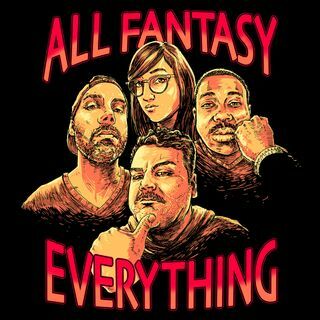 Join the All Fantasy Everything Patreon for exclusive mailbag and movie watch-a-long episodes. Check it all out at www.patreon.com/AllFantasy.